Humble hearted, down to earth and infinitely curious, Bec has lived an eclectic and inspiring life. Traversing a vast array of social, professional and personal landscapes, she has arrived into the embodied understanding that regardless of status, culture, gender ect, we are all the same. We are all human, scared, flawed and yet at the same time completely divine, whole and perfect. Bec has invested years into the of exploration of the intricacies of ‘being human’. Completing trainings in Neuro-linguistic programming, Hypnotherapy, Timeline therapy, Reiki, Kahuna bodywork, Shamanic journeying and recently a 9 Moon Apprenticeship with a Feminine Mystery School. She has worked with a multitude of psychological, emotional and physiological conditions and is well versed in holding space for the release and transformation of limiting beliefs and stored trauma. Bec says Yoni Mapping Therapy found her and she immediately resonated with it being a perfect fit. She facilitates this work with deep respect, gentleness and ease, offering her clients a space in which to be fully heard, seen and honoured. Her warm, honest presence, evokes authenticity, the capacity to laugh at ones self and the fortitude to love ones self unapologetically. 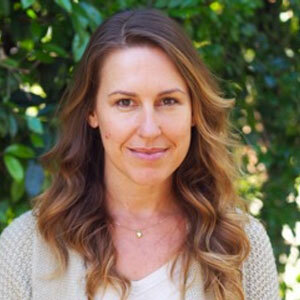 She currently lives in Cairns and fills her time participating in Mawehtei healing circles, learning about self-sufficiency to fulfil her dream of an off-grid lifestyle and having fun with her two wonder-filled children. “Arriving to the session with Bec, I was greeted with such warmth, I immediately felt at ease. She held space for me in a way that let me open up and discover the landscape of my own inner universe. And as I expressed, she acknowledged and gave me tools that I could take away for further exploration. Her body work had me melting into bliss and there was always a feeling of respect and consent which in itself was very affirming.